OK, so it’s the time of year when everyone is starting to do holiday gift posts, and with the economic situation even non-money saving places seem to be talking about gifts on the cheap, as are the people I know. I could skip this post and assume the topic is covered, but I clearly know better than everyone else. No, but more help is always better, and there is something I want to emphasize. Really. Think about the person you are giving the gift to. I’ve seen tons of advice on how to save, but what’s the point on spending anything at all if it is something the person won’t appreciate? While going homemade is a great way to save, not everyone likes homemade items, or at least not the ones you were thinking of giving. Some people don’t want another cute tchotke, because it doesn’t go with the decor, the person is fighting clutter, or maybe it’s just not that person’s style. We’ll assume that it’s fantastic, because of course everything you make is fantastic and desirable, so don’t stress about that part. Someone on a diet, cutting carbs, or just trying to be healthy during a holiday season focused on eating does not need baked goods. Someone with limited space doesn’t need a picture frame. A person with no time doesn’t need your seven bean soup mix in a jar-there’s still no time to cook it. That doesn’t mean you can’t go homemade. Try making a food that will help with the diet or healthy eating plan, a cute storage box for the friend with no space, and give the friend with no time an offer of cooking services, babysitting, whatever. Gifts are not one size fits all, and the warmth of giving someone a homemade gift is diluted when you are giving everyone the same thing. 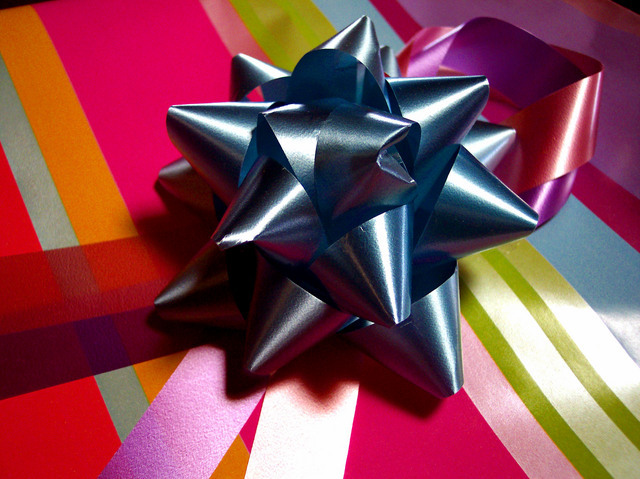 The point of gift giving is to show a thought for someone, and do something nice for that person because you care. Or, in some cases, because social customs dictate it. Last year at the office secret Santa, I heard a rant, in song form, about Starbucks gift cards. They seem to be a default coworker gift. Someone else at the gathering had in fact given one, and the receiver was delighted. There’s nothing wrong with a gift card-if you know someone loves a certain place and generally can’t afford to go there, or goes somewhere every day, it can show as much thought as anything else. However, I am assuming must of us are people with limited funds but strong shopping skills. If you don’t have the time for handmade, or the skill, or you think it is not right for the person, shop around. It’s not how much money you spend, it’s how much thought. And if you happened to get those $200 boots for $20, well, good on you, and it’s up to you if you want to tell the receiver. Don’t be afraid to give used items if they are in good shape and would be useful to the person, but hesitate if you don’t know if the person generally buys things used. And if you can’t think of anything to get someone, why are you getting that person a gift? Also, don’t give your non-Christian friends ornaments unless you know that person has a tree for some reason. Really, don’t do it. Entry filed under: not spending. Tags: being frugal, gift giving. Ali-you sure the previous two aren’t better 😉 Seriously, thanks.